Tacoma Public School has announced that it may close schools in order to save money. Foss is the high school they are considering and elementary schools with less than 300 students are also possibilities. These elementary schools are Franklin, Lyon, Roosevelt, Stanley, McKinley, Wainwright and Geiger. Geiger has had a program change and has been taken off the table. 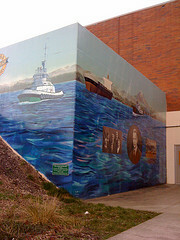 This entry was posted in Art -- there is art here!, Schools, Tacoma, Their future is in question, WA State - Pierce County and tagged Foss, Foss Launch and Tug Company, Franklin, Geiger, Henry Foss, high school, IB, international baccalaureate, Lyon, McKinley, Roosevelt, Stanley, Wainwright on January 31, 2011 by admin.